Alexander Christophoroff is a partner in Gowling WLG's Moscow office, specializing in the areas of intellectual property litigation and prosecution. His practice includes, in particular, representing clients in patent and trademark trials before the general and commercial courts, where he has been involved in many precedent-setting cases, as well as the Board of Patent Disputes of the Russian Patent & Trademark Office and anti-monopoly authorities. He has been an attorney in private practice since 1997, admitted as an Attorney at Law (advocate), Russian patent attorney and Eurasian patent attorney. Prior to this, he worked for the Russian Patent & Trademark Office as General Counsel and as a member of its Board. 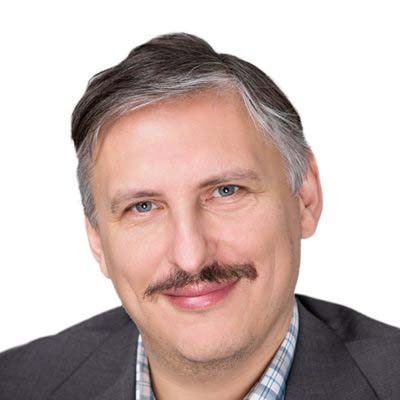 He is vice-president of the Russian Chamber of Patent Attorneys and is recognized as a leading Russian IP litigator by Chambers, IAM Patent 1000, World Trademark Review 1000, The Best Lawyers (including the title of Lawyer of the Year), Managing Intellectual Property and Who’s Who Legal, among others. Higher State Courses on Patent Law and Inventive Activity, Certificate hons. Alexander has written numerous articles in the Russian and international press on IP law-related topics. "Intellectual Property, Russia and WTO", European Commission (in Russian), 2006.